Today we’re happy to announce that TUNE is now a certified Ads Measurement Partner with Naver Ads. As South Korea’s top online search portal with 75% market share, Naver boasts over 16 million daily unique visitors and 37 million registered users. The Naver Ads network consists of search and display ads on PC and mobile. As of November 8th, TUNE clients who manage campaigns on the Naver are able to run detargeting campaigns with heightened control and transparency by utilizing the postback macros for app open and app installs provided by TUNE. As part of this integration, Naver also now has access to the TUNE Partner Center where they can compare advertiser performance metrics, export logs and manage integration settings including measurement and postback URL templates through a self-serve platform. The Partner Center also allows for partners to see where they stand in relation to clicks, installs and conversions compared to all others within the TUNE Partner Program. With over 1,300 partners within the TUNE partner network, TUNE serves as the official tracking partner for numerous globally renowned partners including Google, SnapChat, Twitter, Pinterest, Kakao, LINE and Yahoo. If you would like to learn more about how TUNE can help you execute effective campaigns on Naver, please reach out to the TUNE Korea team. 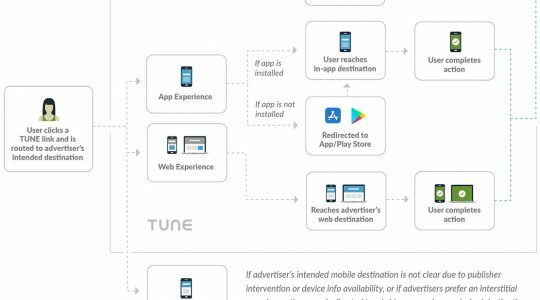 As the Director of APAC Marketing at TUNE, my first goal is to make sure that all marketers looking to succeed in mobile know about TUNE and the services that we offer. And my second is to help TUNE establish a presence in the region so that the mobile marketing industry in APAC achieves a healthy growth based on high efficiency, data transparency, and innovation.